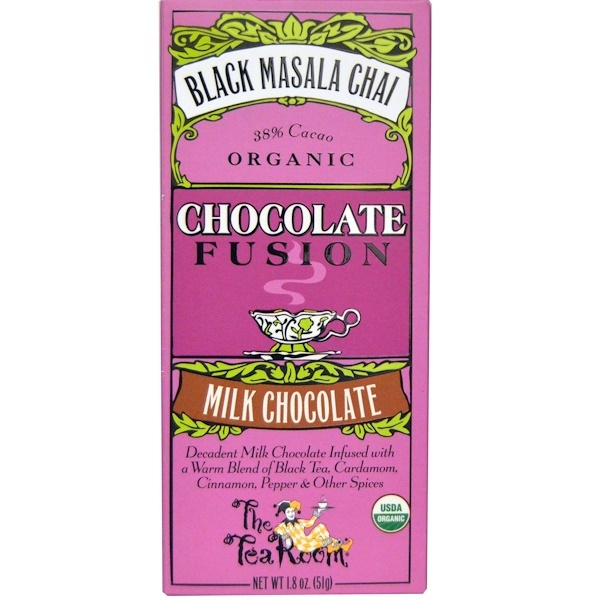 Decadent milk chocolate infused with a warm blend of black tea, cardamom, cinnamon, pepper & other spices. Indulge your palate…with an exquisite medley of flavors: premium organic milk chocolate from Europe, organic masala chia tea from India, and a variety of “warm spices” from all over the world. 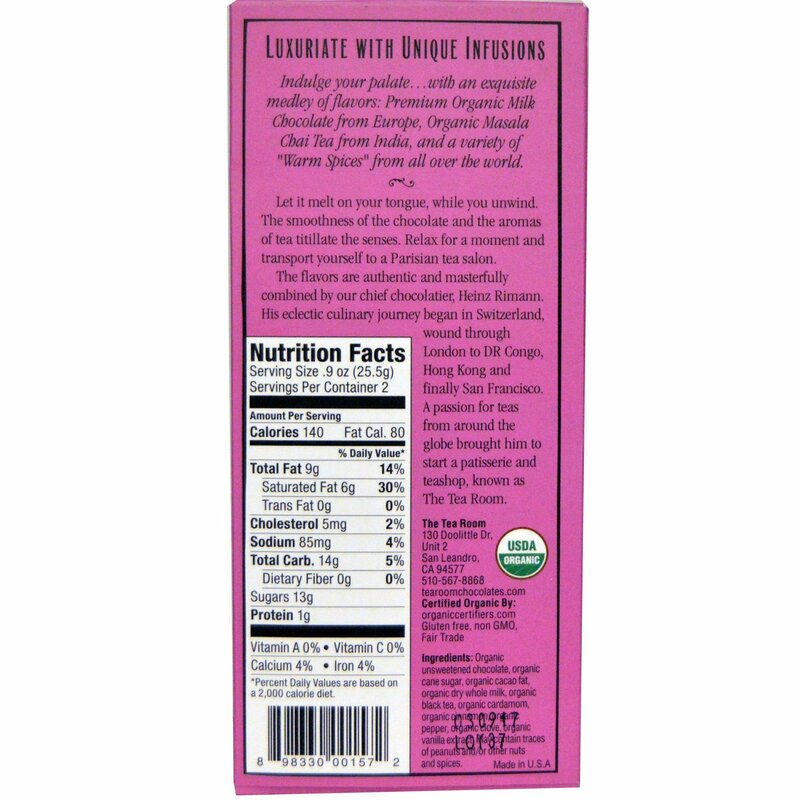 Organic unsweetened chocolate, organic cane sugar, organic cacao fat, organic dry whole milk, organic black tea, organic cardamom, organic cinnamon, organic pepper, organic clove, organic vanilla extract. May contain traces of peanuts and/or other nuts and spices.